Redux of The Amazing World of Bikini Armor . - Gold Tag's mesh and texture change . - Loading screen probability fix . - English grammar fix again . - You don't need must update . - English grammar fix . - Loading screen percent fix . - Ebony gorget gnd mesh matching fix . - Ebony head gear's nif fix for texture matching . - Loading screen fix . - Add loading screen . - Add missing book illust texture . - Effect UI translation fix . - Biki Nisegirl's speed fix . - Add Biki Nisegirl's dialogue . - Delete dummy file . - Change main plugin name to TheAmazingWorldOfBikiniArmor.esp . - Change somes item in Biki Nisegirl's inventory . - Default body change to Honeypopcorn Body . - Biki Nisegirl's morality fix . - Biki Nisegirl's attack damage and defense rating fix . - Add Honeypopcorn Body preset . - Ebony armor set texture missing fix . - Add enchantment description for Biki's Gold Tag . - Add enchantment for Gold Tag . - Gold Tag name change to Biki's Gold Tag . - UUNP bodyslide separate . - Remove wrong master plugin . - Blades gauntlets 2 wrong keyword fix . - Biki Nisegirl's default gold increase . - Add Gold Tag . - Add light armor patch . - Remove bikini guard set recipe . - Default ebony set texture missing fix . 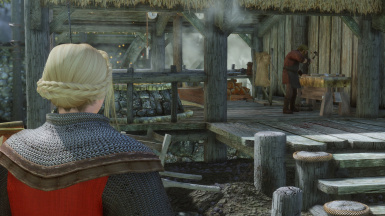 This mod is rollback the blacksmith of Riverwood and some objects to vanilla . And makes bikini books available for purchase through Biki Nisegirl in Riverwood . Left only what was necessary for bikini armor mod and the rest was removed . 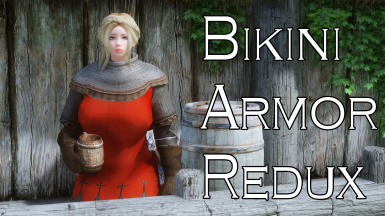 Only left bikini armors and merchant female NPC who selling bikini books from original mod . Be careful when you steal her stuff . She is very powerful . UUNP / CBBE bodyslide preset and orcish / elven bikini series is included ( Bikini Ascend ) . You don't need orginal bikini armor mod .